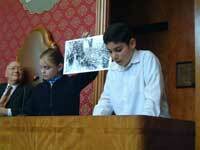 The Children’s Parliament on the Environment is a project that we run annually with Year 6 classes of local schools. 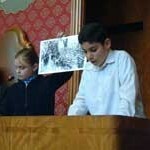 The children research an environmental issue of interest to their school and at the end of the project make a presentation in the Council chamber of the Town Hall. This resource is made up of Children’s Parliament scripts from previous years. FREE: Sign up here for our termly newsletter, including events and schools news. We will not share your information.